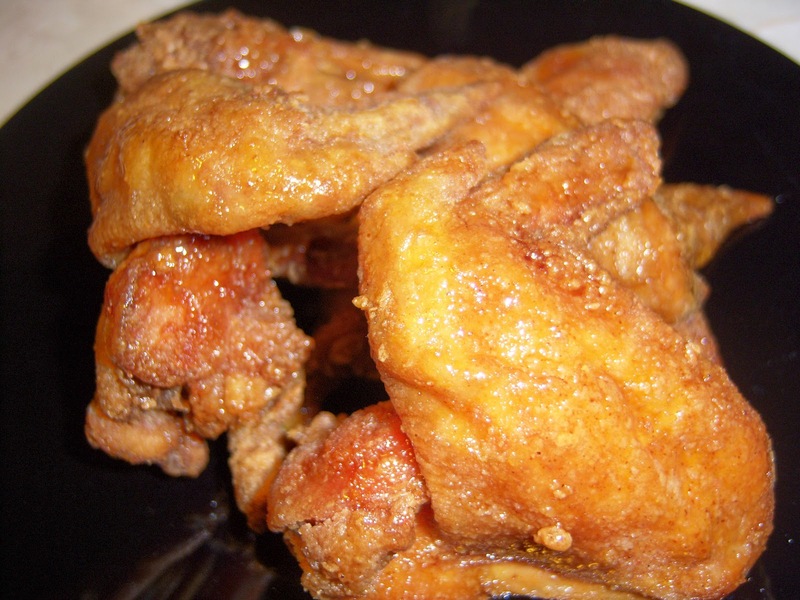 about once every 6 months or so, i am overcome by a longing for fried chicken wings. the craving haunts me for days or even weeks, rendering me incapable of maintaining even the simplest train of thought. 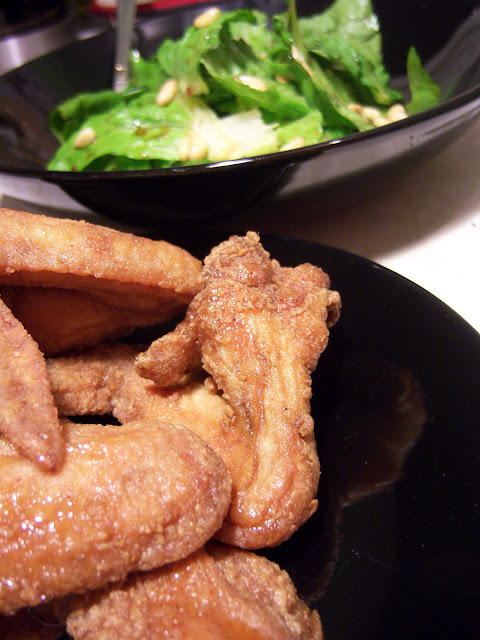 i am especially fond of my wings drizzled with honey. the residual heat softens the honey, resulting in a shiny, sticky glaze that encourages much finger licking and happiness. thus afflicted, everything reminds of sitting occasionally in one of my favorite eateries back home in NYC, splitting a pile of wings with two of my favorite people in the universe. we would go there just for that and, in between messy mouthfuls and over-sized mixed drinks, laugh about only being able to enjoy them in the presence of people with whom you feel true comfort. my wing formula is a topic for another day. just start with a batch of sizzling hot chicken wings, drain to remove excess grease (i use multiple layers of clean newsprint from the never-ending stash of art supplies as i find it absorbs better than paper towels), and lightly drizzle on whatever honey you happen to have available. this time around, i used the buckwheat honey recently discovered at my local produce market. the flavor reminds me of a really good nutty brown beer, malted and not overly sweet. toss a few times to spread the honey goodness. 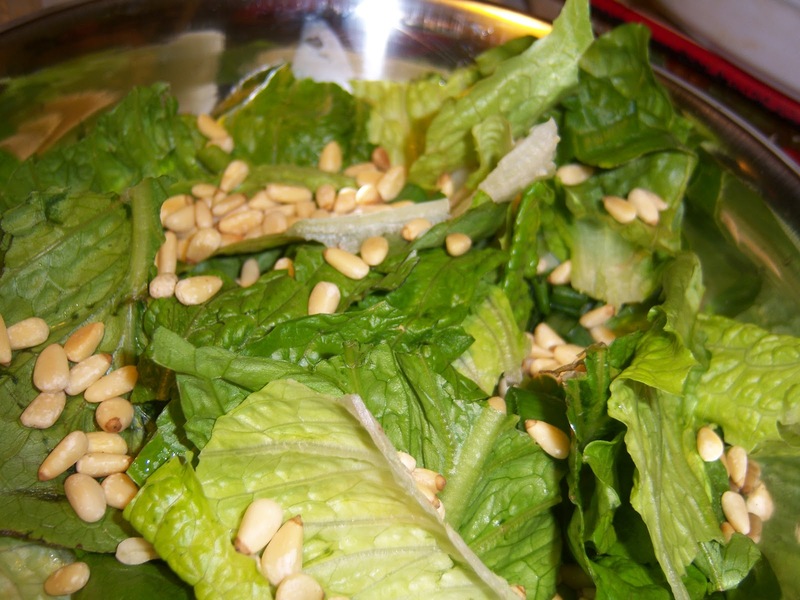 throw in a simple salad of romaine lettuce with a handful of toasted pine nuts. add a soy-sesame dressing and some chopped scallions, and you have a meal that just begs to be shared with the people who bring true comfort to your life.